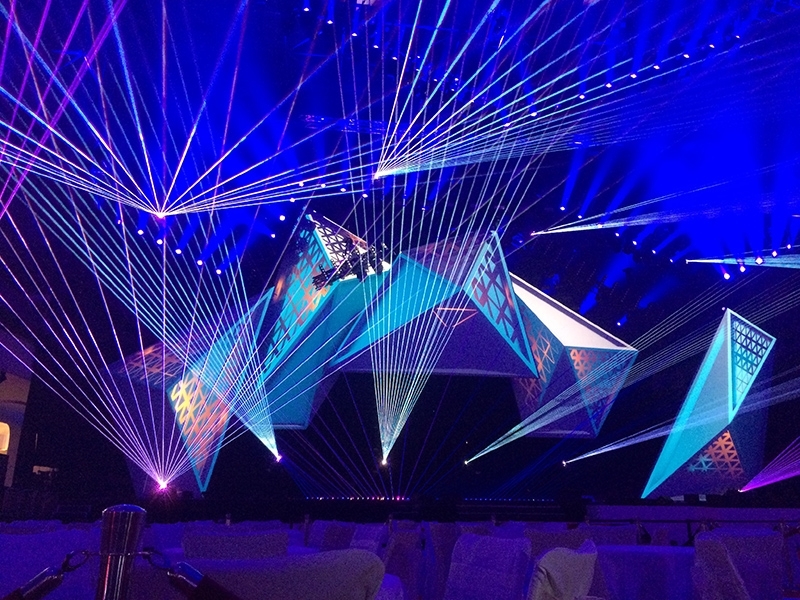 The first show took place at the event of the LEA Awards, where a spectacular laser display accompanied the performance of the famous musical group “Glasperlenspiel”. Afterwards, during the exhibition, the highlight show was played every half hour, showcasing the high quality equipment and show creation capabilities of PRG. 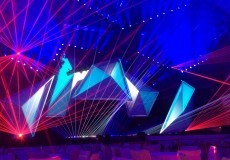 Besides the conventional lighting, video projections and the powerful sound system, an extraordinary and exceptional laser show took place: More than 400W of laser power were implemented, including the world’s-first presentation of a completely new show design lighting fixture – the RTI NEO SIX RGB white light beam arrays with analog modulation and beam deflection. 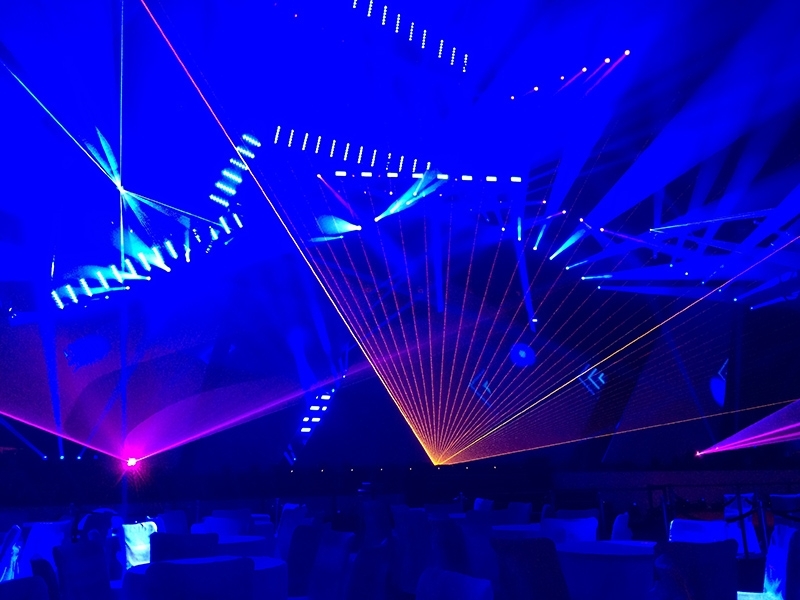 This new fixture allows for creating twist and wave effects in midair with a multitude of single beams that can be individually controlled over standard DMX. 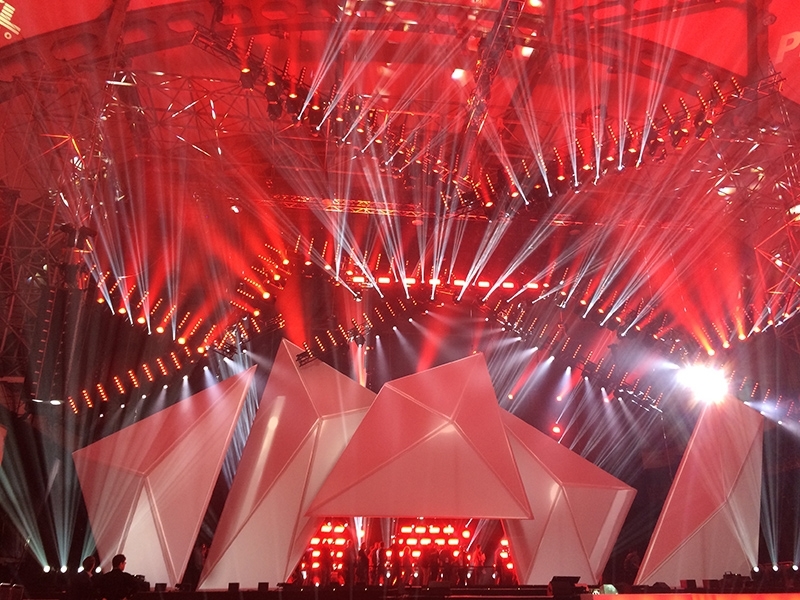 All laser systems on the PRG Stage were manufactured by the Laserworld Group, so only RTI and tarm branded laser systems were used. 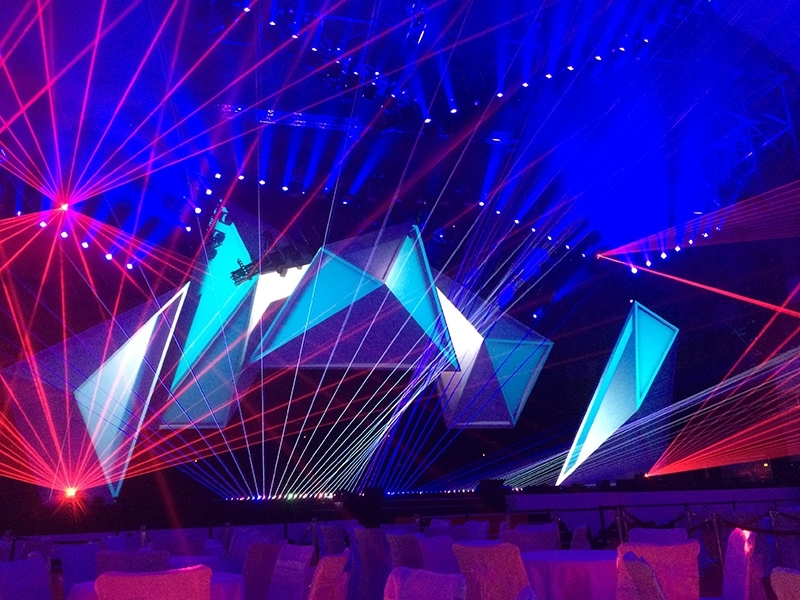 The laser show was controlled through Lasergraph DSP laser control software and hardware, in combination with GrandMA2 consoles. The whole show display was synchronized through a timecode server. 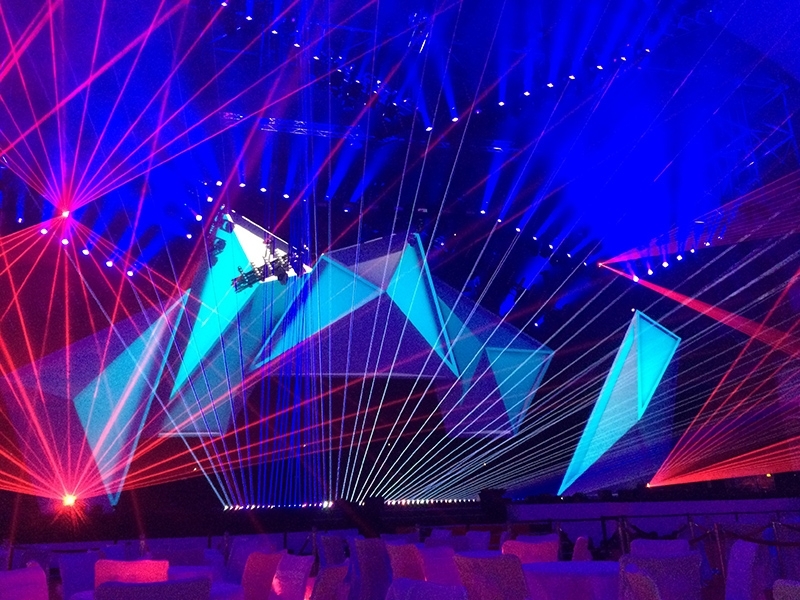 The laser show was designed and implemented by laserfabrik GmbH, a close partner of the Laserworld Group. The whole stage show was designed by Jerry P. Appelt, general show production by PRG. Please find the video of the show to the left.